Availability of different online stores ondifferent platforms on the internet has proved to be a boon for people like you who want to sell their branded watches. There cannot be a better way than this for several reasons. Buy, sell or collect finest of watches – there is a platform for all. There are several people out there who are always looking for used models of watches especially those who love to collect some finest and rarest of pieces. Just like you get a used car in perfect running condition whether it is a BMW, Mercedes or an Audi, you will also get watches of most excellent quality and brands such as Tudor, Rolex or Hublot. You may also avail auctions that are held from time to time or visit a brick and mortar store for that matter but considering the time and effort required to put in and the hassle of visiting the place personally, online sales is the best option. It will not add to your cost of purchase and price always is not measured regarding money. Therefore, if you want to save significant time, sell your watch or watches online and even buy a new one of a different kind from the same store. All these are done within minutes with a couple of clicks away and from the comfort of your home. As a bonus, you save time, money, effort and inconvenience. In an online store, you will be able to find rare and heavily customised models of watches that are one of its kinds and will add value to your collection. You will be happy to wear a watch that no one amongst your friends and family will ever have. Therefore, go ahead and impress others! Ideally, you will find that there is very little sense in buying new models of higher-end models. However, most people believe that buying any used model means making a compromise with quality which is much to the contrary. Apart from that, people are also wary about the hidden charges or damages that they cannot see in the images of the watches. They, therefore, prefer a physical store where they can touch, check and even try each model they want to buy. Offer several certified programs to offer their customers a high level of satisfaction. Therefore, there is no reason to ignore or overlook these modernised and specialised online retailers. However, it is good to be knowledgeable before you pull up your laptop and log in to the site. Buying watches online needs a few cautious steps to take because there may be counterfeit fakes. Moreover, watches usually depreciate fast and substantially once you take them out of the store or from the box. That means whether you or anyone else has worn it even for a week only, the watch will remain the same and typically as new as you bought with the only difference that it will be a lot cheaper. Not all stores can sell my watch or yours and offer a great deal as all are not created equal but if you consider these factors it can be a home run for you. Apart from that, find out what people who have used the service or purchased any watches from them have to say. Research about it and speak to them to find out how they loved their service and loving their watch. It is highly likely that you will buy or sell your next watch from there. While choosing a reliable online store to sell or buy watches, you must also look at the incentives that few shops provide from time to time, especially to the regular customers. Moreover, if you have a very rare watch or a model that has some unique provenance, then you will be able to get a high price and special offers from these companies. Well, provenance does not really have to be things like ‘Worn by Neil Armstrong on the moon’ or such, but it should have some old value to fetch a higher price. If you are buying, look for special offers, discounts and rebates to strike a good deal. Either way, it needs a little time and effort to do some research when you want to get away with your father’s PatekPhillippethat is collecting dust in the drawer and to run more Breitling as per your style. Well, the watch market is still in its maturing process, and currently, it is much more like the car market of the Seventies, especially when it comes to pre-owned watches. Though there is no dearth of supply out there for sure the level of confidence in the buyers especially is yet to reach to the desired level. 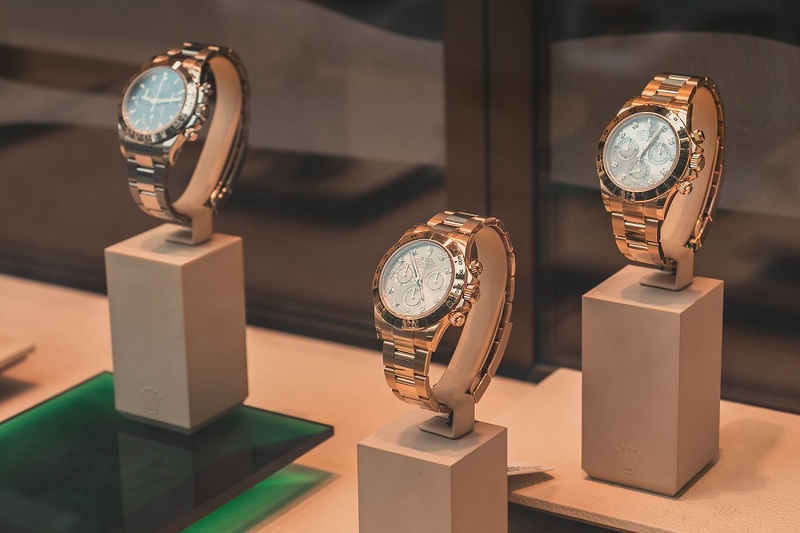 However, slowly but surely, the market is growing, and now you will find pre-owned watches of various elite models such as Rolex, Omega and Breitling worth more than a $100 billion. There is also a rise in the market of luxury watches and there no scientific or management efforts for it. It is all about the conditions of the aftermarket and how this is professionalised that has resulted in the growth of the pre-owned watch market. Therefore, if you are apprehensive about buying or selling your watch online, rest assured that it is needless.